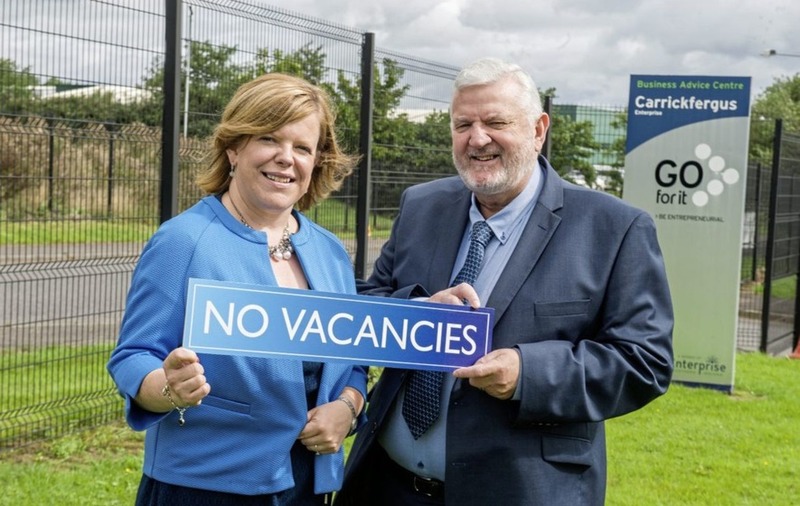 CARRICKFERGUS Enterprise has achieved full occupancy for the first time in over 20 years - and has unveiled plans for a significant expansion of the site. The business park, opened in 1994, currently hosts 36 tenants employing 140 staff. The 60,000 sq ft site has 39 units with 13 high-tech offices offering SMEs a home for their business to grow and develop with dedicated support from Carrickfergus Enterprise. Due to the high demand in the business park, the social enterprise hopes to secure funding to begin building phase four of the business park to accommodate the need for high tech office space. The new 12,750 sq ft build, will offer 24-28 high-tech offices supporting the creation of 80 to 100 jobs, underpinning Carrickfergus' transition from traditional manufacturing to the digital economy. The expansion is aligned to Mid and East Antrim's Amplify Strategy which intends to tackle the limited number of digital and technology firms in the borough. The strategy is aimed at promoting knowledge economy jobs to create more opportunities in priority sectors such as digital, financial and business services, advanced manufacturing, and agri-food sectors. Carrickfergus Enterprise chairman Bill Adamson said: “The 100 per cent occupancy is great news for us and the borough. The area has faced several blows this year, but full occupancy at the park demonstrates a renewed confidence in the local economy. Key sectors currently represented at the park include manufacturing, ICT services, research & development, life sciences, fabrication services and financial services. Greg Simpson, managing director of tenant company ADP Diagnostics, said: “We've been in business for 13 years, the last two years based at the business park, where we've developed the business significantly with 25 per cent growth. "The support of Carrickfergus Enterprise has a critical role in that journey as the available accommodation has offered us the flexibility and space we needed. We also have access to a variety of business development programmes and networking events."